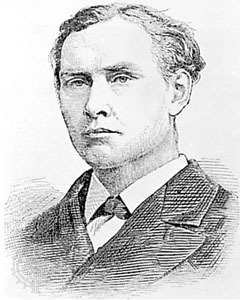 Edward Whymper was born at Lambeth Terrace on Kennington Road in London on 27 April 1840 to the artist and wood engraver Josiah Wood Whymper and Elizabeth Whitworth Claridge. 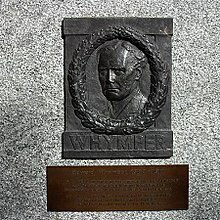 He was the second of eleven children, his older brother being the artist and explorer Frederick Whymper. He was trained to be a wood-engraver at an early age. 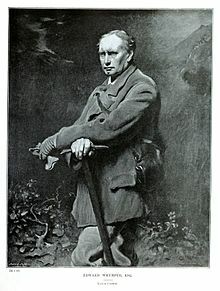 In 1860, he made extensive forays into the central and western Alps to produce a series of commissioned alpine scenery drawings. 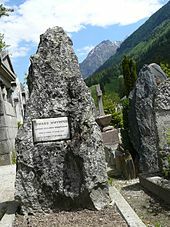 Among the objects of this tour was the illustration of an unsuccessful attempt made by Professor Bonney's party to ascend Mont Pelvoux, at that time believed to be the highest peak of the Dauphiné Alps. On 25 April 1906, aged 65, Whymper married Edith Mary Lewin aged 23 (born 1883) at Emmanuel Church in Forest Gate, London. The service was presided over by Canon J. M'Cormick, who had assisted the mountaineer after the Matterhorn accident. The marriage produced one daughter, Ethel. The couple were separated in 1910. Edith remarried in 1913 and died the following year from complications of pregnancy. 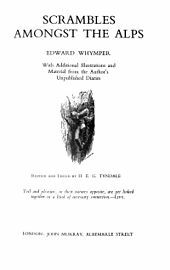 This page is based on the Wikipedia article Edward Whymper; it is used under the Creative Commons Attribution-ShareAlike 3.0 Unported License (CC-BY-SA). You may redistribute it, verbatim or modified, providing that you comply with the terms of the CC-BY-SA.